Royal affairs have always fascinated writers, historians, poets and filmmakers. From Tristan and isolde to salim and anarkali, forbidden romances became a inspiring subject for operas, plays, television serials and movies. Among all love stories, the tragic love story of peshwa bajirao and mastani gets a special attention in pages of history. Soaked in tears and blood, this love story of maratha warrior bajirao also faced severe heart breaking opposition from his family and society. The valour of shrimant peshwa bajirao was so great that even foreigners respected him for his courage, intelligence, knowledge and strategic warfare. No less than Napoleon Bonaparte and Alexander, peshwa bajirao fought and won 41 battles, conquering many territories for maratha empire. 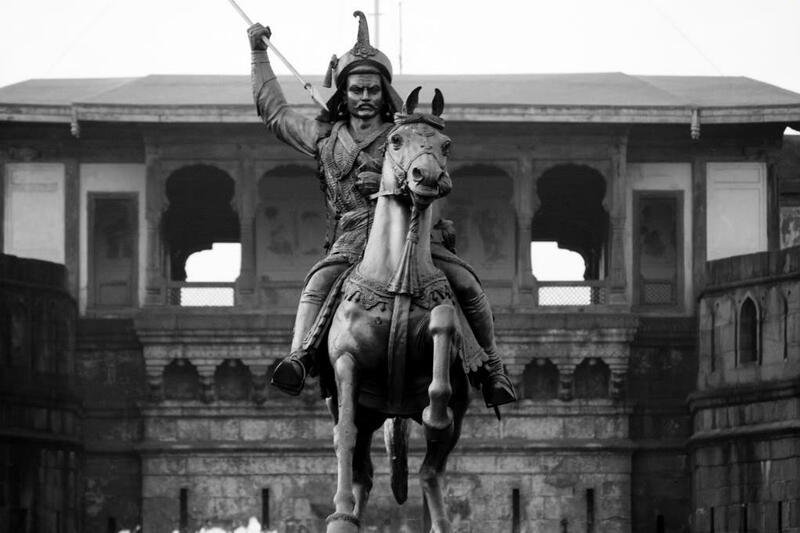 Even though shahu maharaj was the titular ruler, the real power and administration was in the hands of peshwa bajirao. Bajirao was a epitome of courage and inspiring symbol for marathas until mastani came in his life. Bajirao was at the peak of his career when a request for help came from king chattrasal of bundelkhand. Bajirao marched with his troops to bundelkhand and liberated the land by defeating Mohammed Khan bangash in 1729. Bajirao stayed in bundelkhand as a guest of raja chattrasal and this is where his eyes met mastani. Mastani was the daughter of chattrasal and ruhanibai. A princess of rajput clan, mastani was a skilled dancer, singer and well expert in horse riding, sword fighting and spear throwing. Their series of meetings developed in love and this romance ironically was the start of downfall of bajirao’s supremacy. 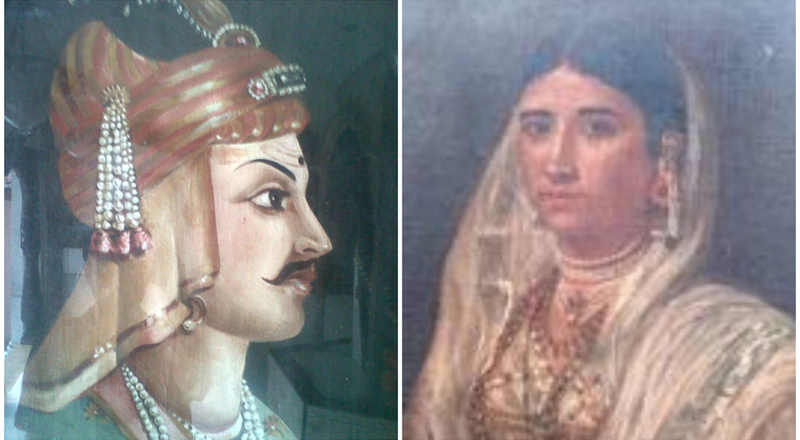 Bajirao was already married to kashibai and had two children – nanasaheb and raghunath. Though he took mastani with him to shaniwarwada, the royal palace of peshwas, bajirao was well aware that his relationship with mastani will never be accepted. His instincts were true. Mastani’s arrival in shaniwarwada sparked a controversy, labelling her as a mistress of bajirao. The dark phase of stress had already begun in bajirao’s life when he was constantly kept away from mastani. Bajirao’s mother radhabai strongly opposed mastani and never accepted her relationship with peshwa. Even bajirao’ brother chimaji appa severely criticized bajirao for this act. To make matters worse, murderous attacks were made on mastani and her child, but it was bajirao who protected her from these attacks. The valiant bajirao was a heart broken man who couldn’t do anything for his beloved love and his new born child – shamsher. Death of bajirao and mastani – according to legends, the separation of mastani had already started affecting the health of bajirao – both physically and mentally. The strains of battlefields and emotional stress were bringing bajrangi close to his end. During one of his tour to khargaon, bajirao suffered heat stroke and was confined to bed due to fever. Bajirao breathed his last in April 1740, hoping for the last glimpse of his beloved – mastani. The news of bajirao’s death was a shocking blow on mastani who was now imprisoned in chains on orders of nanasaheb , the elder son of bajirao. As per historical sources and documents, mastani committed suicide by drinking poison. Some historians even tell that mastani died by jumping in the funeral pyre of peshwa bajirao. Thus ended the tragic romance of bajirao and mastani which was never approved by society. No matter how infamous their love was, bajirao and mastani will be remembered forever. Adaptation – the tragic love story of bajirao and mastani was a inspiration for the Marathi writer n.s. inamdar who wrote the popular novel – Rau. The new movie bajirao-mastani directed by sanjay leela bhansali is based on bajirao and mastani. Had bajirao not met mastani, the history would have been different. His affection for mastani became his unforgiving flaw which he repented by his untimely tragic death. 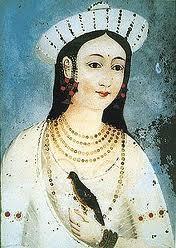 Mastani lived only to be opposed, criticized and scorned because she belonged to other religion. Sadly, if the world had realized that love is above religion, caste and custom, then there wouldn’t have been honour killings and the lovers wouldn’t had to commit suicide. Wow what an epic!! This makes the movie more interesting. Is the movie scripted and directed in a similar interesting way? Wow! Your narrative sounds like you are Bajirao reborn. Well written! But spare a thought for what his wife of 20 years went through when she had to face neglect from her husband, to whom she remained devoted till his last breath went through. How many families you know will accept with open arms into their home another woman their son brings home when his first wife is still living under the same roof? And live with the fact that the man lead a voluptuous life with his lover turning an alcoholic during the period, much to the chagrin of his loved ones? What about the abandonment his three sons (yes, there were three- Balaji, Raghunath and Janardan) faced when his infatuation for Mastani barely left him time for them? You need to clear your perspective before glorifying romantic love and forming opinions about Bajirao’s family. Maybe gather some more facts on the subject, Not taking away his credit for his unparalleled valour and achievements in battle, adultery by any other name screams out betrayal.The script of a movie or the plot of a novel is always coloured by what appeals to the viewer or readers by and large, not the truth. You can only grasp what happens when such a relationship breaks a perfect home if you experienced it in your own life. First of all thanks for this well detailed comment. I really respect your views and understand the point of view about a wife’s pain in accepting a new wife of her husband. If Bajirao hadn’t fallen in love with Mastani, then the history would have been different. All his achievements, victories were forgotten when he prioritized love more than his family. But Bajirao was a true warrior nevertheless and his love for nation was true as his love for his family and Mastani. Even Mastani was a great warrior, Sadly her entry in Bajirao’s life spelled a doom for her. Mastani was never accepted as wife by Bajirao’s family. His relationship with Mastani was never adulterous. No one ready to legalize the wedding of Bajirao and Mastani. Despite Bajirao’s several attempts to legalize his relationship with Mastani through second marriage, his all attempts were turned down by his family. Bajirao died a silent death in a war camp while it is said that Mastani committed Sati. This article is solely based on love story of Bajirao and Mastani. Bajirao will be remembered as a great warrior in maratha history. I respect the love of Bajirao and mastani. I know what your article relates to.Everyone loves martyrs and tragic romances. It is true that Bajirao and his family lived in two different worlds, one liberal and the other orthodox, He chose to transcend orthodoxy and espouse Mastani because he felt entitled to.There isn’t a single record validating Mastani as his wife, but that may be inconsequential since he was very attached to her and she to him, his family’s feelings notwithstanding. Mastani lived with Bajirao for over 10 years, accompanying him on many campaigns.This relationship went hindered and even produced a son, let us not forget that. Bajirao did not care two hoots about how people perceived his relation with Mastani. But he did try to elevate her status after her son was born, to assure her financial security. 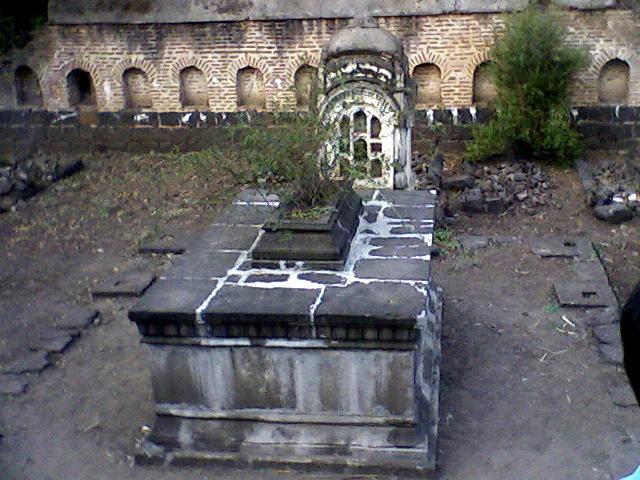 Three villages were assigned to her and Shamsher Bahadur was made heir to Bajirao’s share of the Bundelkhand territory assigned to him by Chhatrasal. So what changed between 1739-40 for his family to try to separate the two? Bajirao’s self-imposed alienation and his drinking disturbed both his family as well as Shahu. The more his brother tried to offer counsel the more Bajirao sequestered himself, to a point when no one was allowed access to him as he spent days in Mastan’s apartment neglecting his first family and his professional duties. Not just Bajirao and Mastani, but Kashibai, his mother and brother-who are made out to be arch enemies- suffered immensely during the time. His brother Chimaji was so distraught that he died within months after Bajirao’s death and his wife immolated herself in his pyre. Records state that Bajirao ran a high fever and died due to complications whilst camped in Raverkhedi on the banks of Narmada, There is a theory that his symptoms were similar to alcohol withdrawal. But the truth is he never gave up drinking, there are dated letters to prove that. Also there is no record of Mastani having gone Sati, that is a legend. It is possible that the Peshwas manipulated records, but surely there must be parallel records maintained in Bundelkhand if she was indeed Chhatrasal’s daughter and sister to his many sons. It is hard to accept any flaws in the saga of an undefeated and valiant hero so there is a tendency to lay the blame squarely on narrow-mindedness. We can believe what we choose to, even if it is misrepresented. I really appreciate your research gone in writing this comments. This article is worth a debate. I am currently reading more books on peshwa history to understand peshwa bajirao’s personality. Apart from bajirao, I am also keen to write on Peshwa Madhavrao the grandson of Bajirao. Again thanks for commenting and visiting this blog. Madhavrao is my favourite Peshwa. Flawless in character, an able administrator and fearless in battle, he managed to avenge the humiliation of the Third Battle of Panipat.Too bad he died young or else Maratha history would have been different! You are passionate about events in history, that’s for sure, I appreciate that, The irony is facts can be rather dispassionate. Bhansali made us believe that Mastani was a warrior and fought battles. In the age she lived in it was commendable that she was skilled in horse riding and wielding weapons. But the real reason Bajirao took her on campaigns was he was attached to her and unlike his wife she was a skilled rider. Except for Tarabi, Umabai Dabhade, Anandibai, Ahilyabai Holkar, Rani Laxmibai and Jhalkaribai no women participated in Maratha combat. Wives went along as companions, not as warriors. Here’s a list of works on Peshwa/Maratha history. Hope you manage to lay your hands on some of these. 1. New History of Marathas by G S Sardesai (Phoenix Publications). 2. Peshwa Bajirao and Maratha expansion by V G Dighe (Karnatak Publications). 4. New Cambridge History of India: The Marathas, 1600-1818 By Stewart Gordon, Cambridge University Press. 5. A History of the Maratha People by G.A.Kincaid and Rao Bahadur D.B.Parasnis (Humphrey Milford Oxford University Press). Another book being launched on 8th January 2017 is “The Era of Bajirao” by Uday Kulkarni, who has also already written “Solstice at Panipat” and “Bakhar of Panipat”.